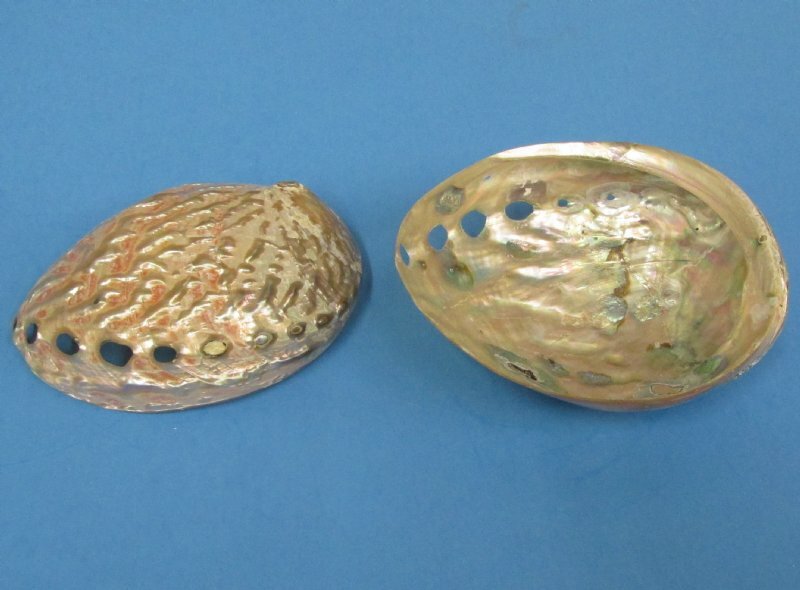 Polished Rainbow abalone seashells wholesale, commercial grade, measuring approximately 5-1/2 inches to 6-1/2 inches long. 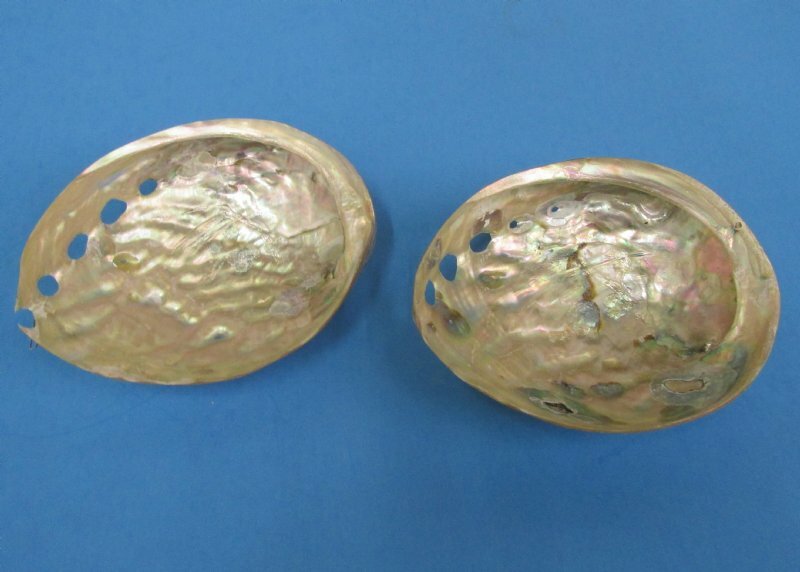 Polished rainbow abalone shells are used in making buttons, decorative item in jewelry and as inlay in furniture, knife handles, and in musical instruments such as guitars, etc. 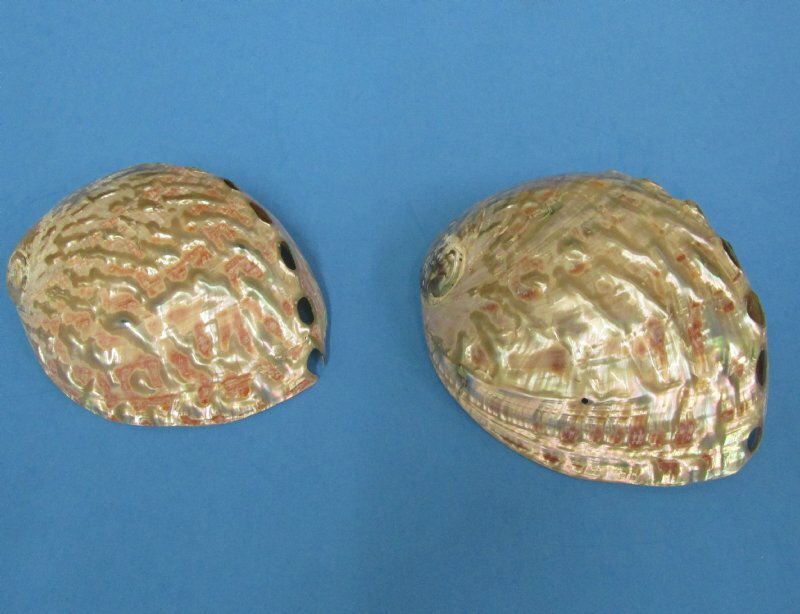 Our abalone shells are commercial grade. 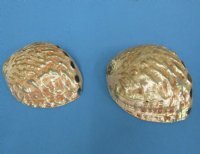 You may receive some shells with chipped edges and other natural imperfections !